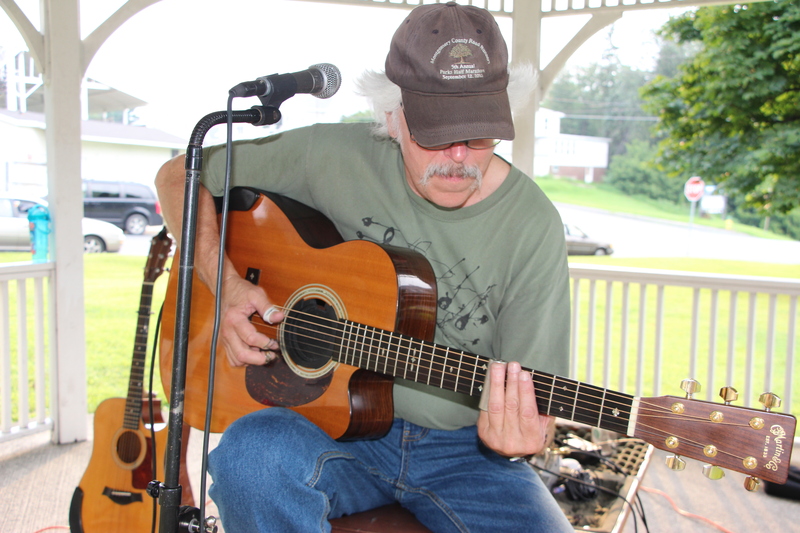 Jay Smarr performed during the Lansford Alive’s free community ‘Music in the Park’ event on Sunday (July 26, 2015) at Kennedy Park in the borough. The events are held every Sunday at Kennedy Park from July 12 to August 9, 2015 from 6 PM to 8 PM. Everyone is encouraged to bring their lawn chairs or blankets. The last event is Sunday, August 9, 2015, featuring Sterling Koch Trio. Donations to the committee and its events can be made by making your check or money order out to “Lansford Alive Events Committee” and mail it to PO BOX 172, Lansford PA 18232. Lansford Alive can be found on Facebook at https://www.facebook.com/LansfordAlive.